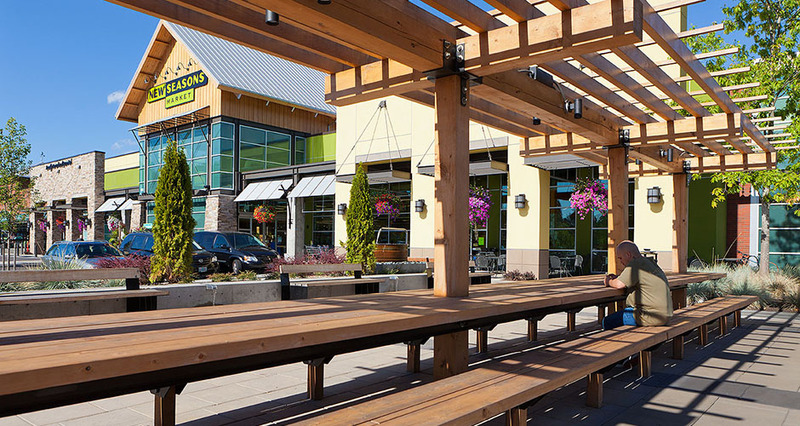 Mackenzie provided planning and site design services for this innovative joint-use retail and open space project between Gramor Development and Tualatin Hills Park and Recreation District (THPRD). 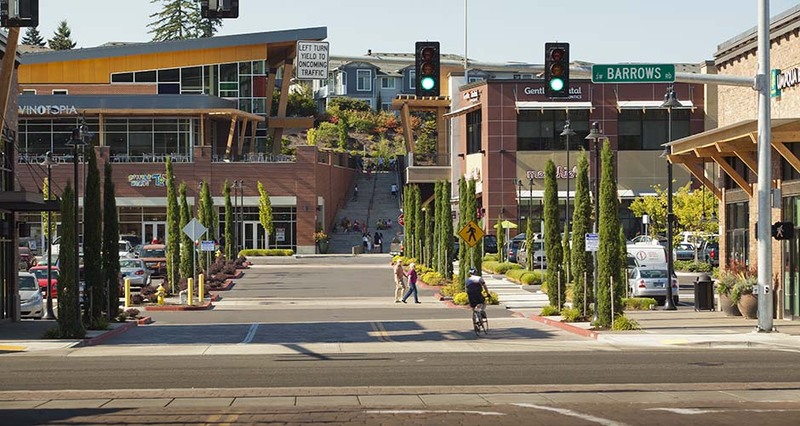 The Progress Ridge area is a designated urban town center in the City of Beaverton located adjacent to the Progress Quarry pond. The vision between the developer and the city was to design a pedestrian-friendly civic hub with a strong sense of community that would provide a wide range of services to the growing region. The development includes approximately 280,000 SF of retail and office buildings. An extensive public process indicated a strong interest for active vibrant public spaces that resonated with the history of the Progress Ridge area. Access to the pond, a water front walk and boat launch improvements were also requested. 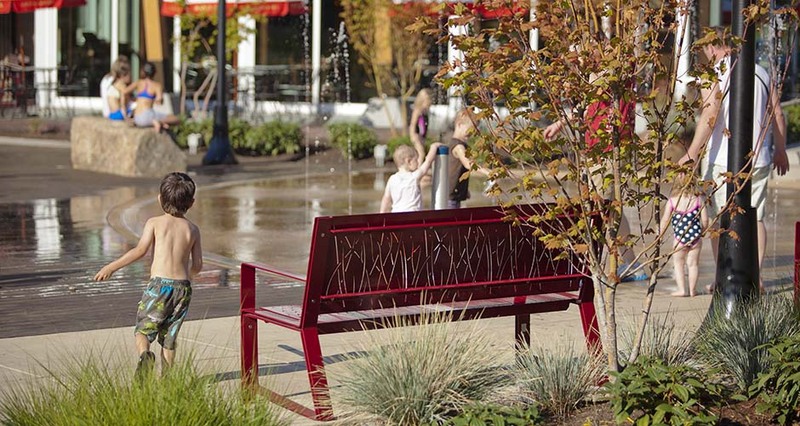 Mackenzie designed a series of plazas, courtyards, walkways, and community amenities to create a distinct urban character. 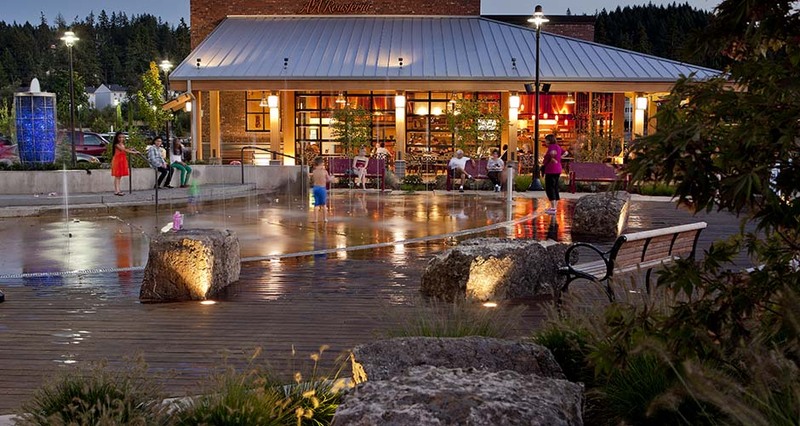 The agricultural plaza features a community table, raised garden area, agrarian-inspired water feature and numerous outdoor dining opportunities. 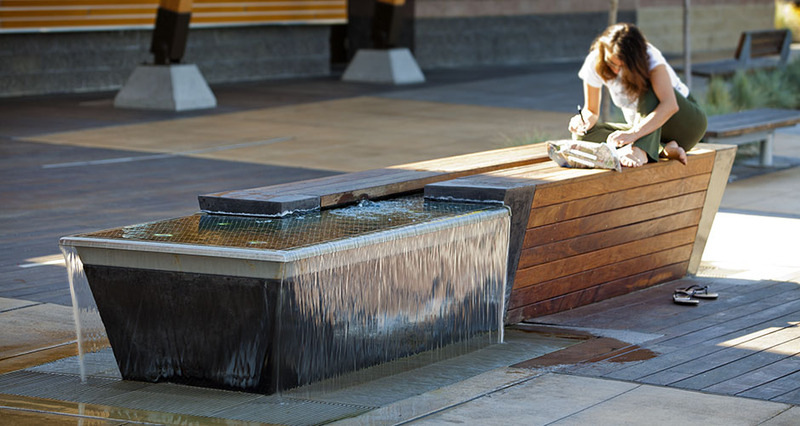 An interactive water feature, fireplace, boulder seating, ipe deck, and access to the water highlight the active plaza. The entertainment plaza serves as an entry into the theater and is anchored by dramatic lighting features, vibrant paving patterns, an engaging water feature, and a unique seating area. 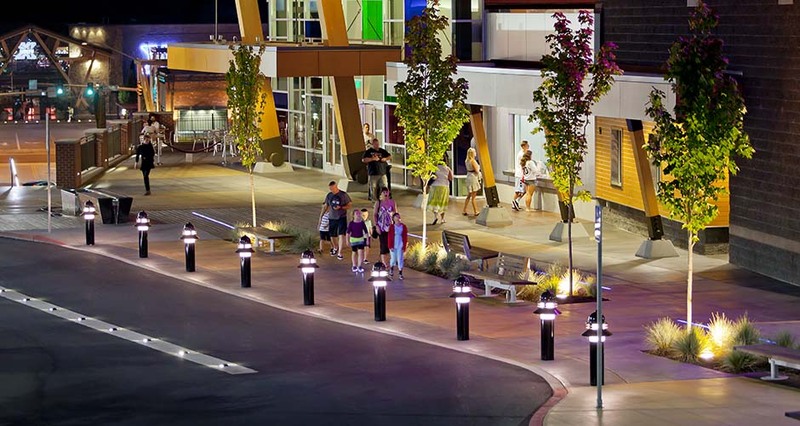 Each plaza was strategically located adjacent to the street edge or a critical node within the development and has become a focus of activity that creates a vibrant atmosphere within the town center. Perimeter streetscapes provide traffic calming with street trees, planters, enhance paving, and pedestrian connections. The project included extensive collaboration with THPRD to provide access to the pond via an overlook feature, access stairway, perimeter trail system, and public dock for fishing and boat access.